From February 5-7, 2019, Princess Cruises is offering the "All Aboard to Europe! Sale" providing discounted fares to guests who want to spend this summer on a Europe cruise and cruisetour. Passengers who book within the 72 hour window will receive free gratuities – a savings of up to $170. A third and fourth guest can book from $99 per guest when booked in the same stateroom. Free Gratuities – a savings of up to $15.50 per day per guest. On our popular 11-day Scandinavia & Russia itinerary that's a savings of up to $170. Up to $900 per Stateroom to Spend Onboard – to use toward onboard purchases such as shore excursions, the Lotus Spa or at the boutiques. Guests (up to four per stateroom) booking an interior or oceanview stateroom will receive up to $600 per stateroom to spend during their cruise vacation. Those booking a balcony, mini-suite or suite will be given up to $900 per stateroom. The amount is based on cruise length. Specialty Dining – up to four guests will also receive free specialty dining on one night of their cruise. Memorable meals can be savored at Sabatini's, Crown Grill or Share by Curtis Stone. The 2019 season features five ships sailing to 130 destinations from the corners of the Mediterranean to the northernmost tip of Europe. Guests can choose from 85 unique itineraries on 211 cruise departures, visiting 37 countries, featuring 30 ports with longer time ashore, including five ports with overnight stays. 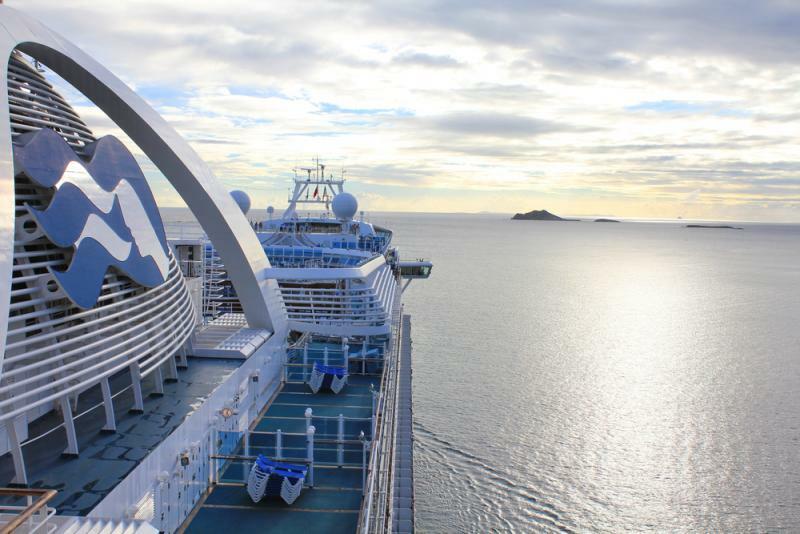 Princess MedallionClass can be experienced on both Regal Princess for the 2019 Scandinavia and Russia season, and Sky Princess when she debuts in the Mediterranean in October 2019. Princess Cruise's "All Aboard to Europe! Sale" will be held for 72 hours only from February 5, 2019 (12:00 am PST) – February 7, 2019 (11:59 pm PST). This offer is available to residents of the 50 United States, Canada, Puerto Rico, Mexico, Bermuda, and the District of Columbia who are 21 years of age or older. Term and conditions apply. For more "All Aboard to Europe! Sale" details, please visit: https://www.princess.com/cruise-deals-promotions. Three new Royal-class ships are currently on order with the next new ship, Sky Princess, under construction scheduled for delivery in October 2019. Princess recently announced that two new (LNG) ships which will be the largest ships in the Princess fleet, accommodating approximately 4,300 guests with expected delivery in 2023 and 2025. Princess now has five ships arriving over the next six years between 2019 & 2025. The company is part of Carnival Corporation & plc (NYSE/LSE: CCL;NYSE: CUK).